Hi guys! I hope you're wearing your GREEN today! I love St. Patrick's Day, but I wish my favorite Irish pub wasn't so busy! I want to go out! Instead, we'll be having corned beef and potatoes at home! I really wanted to get this post up yesterday, but yeah... that didn't work out! The Hobby Polish Bloggers is Facebook group that I belong to, along with other polish bloggers. We have had several other link-ups - Halloween, Fall Favorites, Christmas, Valentine's Day, etc. It is time for our next one, and it revolves around St. Patrick's Day! I did not want an overwhelming green manicure, but I wanted a touch of green. I used Sinful Colors Happy Ending on my index and middle fingers. On my ring finger, I started with a base of Zoya Blu, and proceeded to create a rainbow using OPI I Red My Fortune Cookie, Julep Marjorie, Zoya Darcy,Sinful Colors Exotic Green, Julep Linden, and a Love & Beauty Purple. 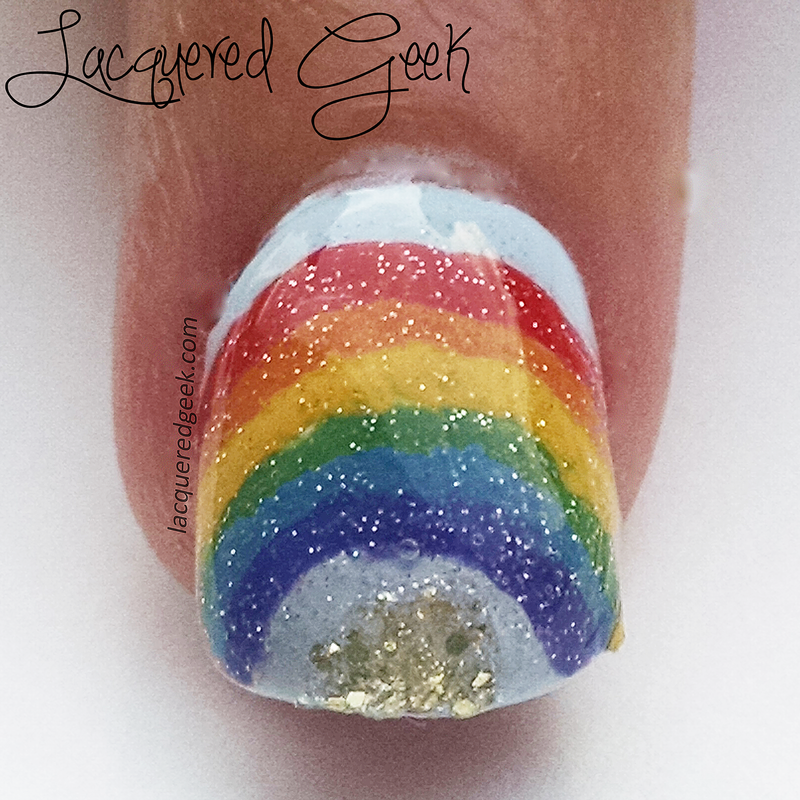 After the rainbow dried, I topped it off with China Glaze Fairy Dust. 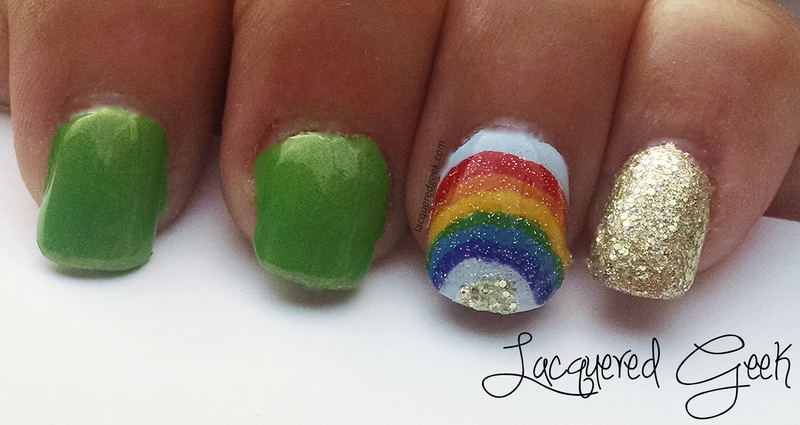 At the base of the rainbow, I hinted at the pot of gold beneath the rainbow using Julep Tazeen. 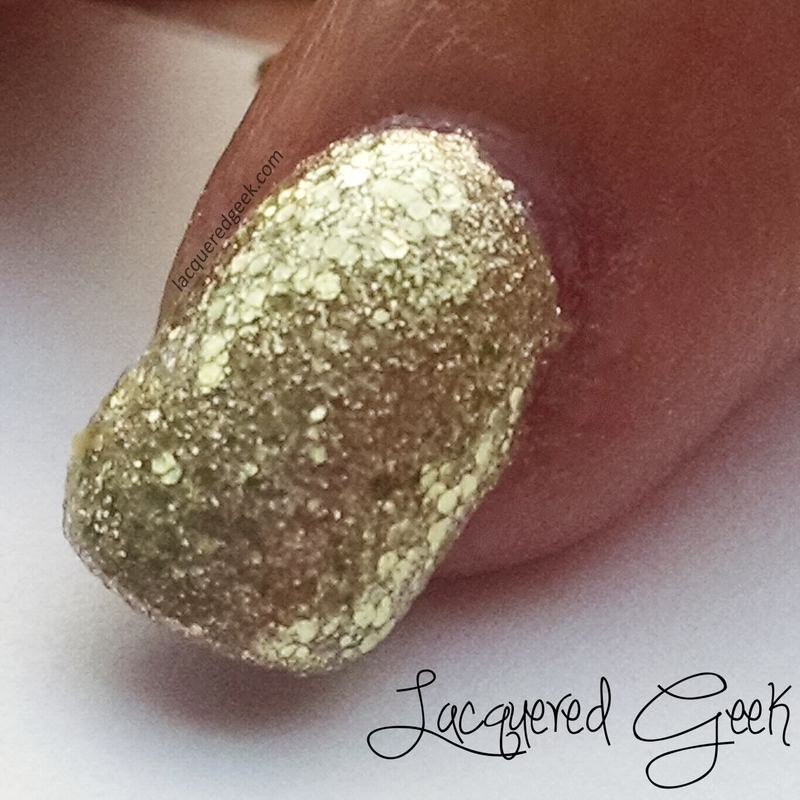 I used OPI Honey Ryder on my pinkie, and I did not think it looked enough like gold. So I added Julep Tazeen, and it looked more the way that I had envisioned it. So that's it for my St. Patrick's Day nails! Be sure to stop by my Facebook page, and let me know what you have on your nails today! I hope you will take a look at all the other fabulous bloggers that are taking part in the HBP link-up below!